Tina Cahill, who killed her fiance David Walsh, described as "pure evil". News in 5: Killer fiancé described as "pure evil"; Young boy brutally attacked by dog; Australian's receive bionic sight. 1. Woman who killed fiancé in Sydney apartment described as ‘pure evil’. A woman who killed her fiancé in their Sydney apartment has been described as “pure evil” during her sentencing in the NSW Supreme Court. 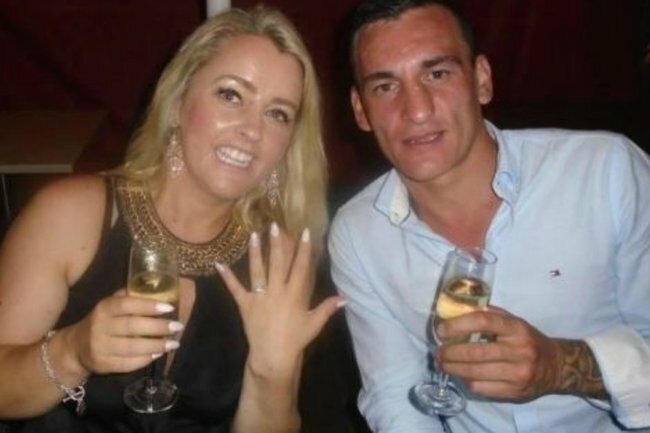 As reported by Megan Palin on news.com.au, Cathrina “Tina” Cahill, 27, pleaded guilty to the manslaughter of David Walsh, 29, after killing him in February 2017, less than two months after they became engaged on New Year’s Eve 2016. The pair, both from Ireland, lived in Padstow in Sydney’s southwest when Cahill fatally stabbed Walsh during an alcohol-fueled argument on February 18. During her sentencing on Tuesday, Cahill cried as her father told the court she was a “brilliant person” who had never previously displayed violent behaviour. However, character assessments for Walsh by two unidentified 13-year-old girls describe Cahill differently. One of the girls said the “hate” she has for Cahill turns her stomach, while the other described her a “pure evil”. “I still wonder why (Cahill) did it … I just think it’s pure evil and not about depression, it’s her in and out evil,” her statement read, as reported by news.com.au. Cahill, who also had been drinking, was punched by her fiancé when trying to stop the attack, before she took out a “large, very sharp, bladed knife” from the cutlery drawer and stabbed him. Cahill previously gave evidence about his repeated violence, including punching strangers and biting her all over her body, his accusations of her sleeping with other men and his deleting texts from her phone. Prosecutor Nanette Williams submitted it was “an attack of extreme violence” upon a relatively young man who was being actively restrained by a third person at the time. 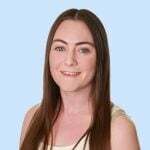 The cases of violence from Walsh to Cahill, on the agreed facts, were limited while her attacks on him had involved a candle and a knife in an incident prior to the fatal attack. Justice Johnson, who said the case involved “unusual features” such as a “type of two-way domestic violence”, will sentence Cahill on December 12. 2. Four-year-old boy brutally attacked by neighbour’s dog. A four-year-old boy is lucky to have survived a savage dog attack by his neighbour’s American pit bull. Angus Martig was attacked by the dog about 1pm on Sunday in the Western Sydney suburb of Quakers Hill. Riverstone Police Inspector Al John told media the attack happened while Angus and a friend were outside on the footpath talking to the neighbour. The dog was latched on to his neck and only stopped after his mum Gillian intervened. Paramedics told 7 News Angus would not have survived the attack if his mum and the dog’s owner had not intervened. He was taken to The Children’s Hospital at Westmead with injuries to his neck. Gillian, who received arm injuries when she tried to stop the dog from clinging to Angus’ neck, was also treated at a nearby hospital. The dog’s owner cried and told her dog she loved him before he was taken to an animal holding facility. Neighbours who spoke to 7 News said the dog had previously been reported to the council. Local mum-of-four Jessica Farrell said the dog attack was “an accident waiting to happen”. “I’m petrified every time I take them to the park. We have to be super quiet when we walk past the house,” she said. 3. New Aussie homes smallest in 22 years. Australian homes built in the past financial year were the smallest they have been in more than two decades, according to fresh data. The average floor size of a newly built home was 186.3 square metres in 2017/18, including both houses and apartments. That means new homes were 1.6 per cent smaller than the previous year and the smallest they’ve been since 1996, figures from the Australian Bureau of Statistics, commissioned by CommSec, show. A rise in the number of apartments being built has contributed to the falling home size, CommSec chief economist Craig James says. Apartments now make up 46 per cent of all new homes built, compared to eight years ago when they accounted for 27 per cent of new builds. But Australians have also simply been more willing to inhibit smaller spaces since the size of homes peaked in 2009, Mr James said. “We can point to a lot of things, like the global financial crisis, as being a change in people’s mentality,” he told AAP. More people are also willing to trade space for being closer to the city, Mr James said. “You’ve got baby boomers, as well as millennials and Gen Y, which have got this preference for smaller accommodation, perhaps closer to city centres, whether it’s regional cities or whether it’s capital cities. Despite the trend, Australia still has the second-largest homes of any country, behind the United States. “The house that we’re building in Australia are still amongst some of the biggest houses in the world, and I suppose that gets down to the fact that we do have more land mass here,” Mr James said. The average free-standing house in Australia was 230.8 square metres in 2017-18, which was 0.9 per cent smaller than the year before. But that size is still eight per cent bigger than houses built 20 years ago, and almost 30 per cent bigger than those built 30 years ago. “There’s certainly fewer McMansions being built because if we were seeing more of those, we’d see the house size increasing rather than decreasing,” Mr James said. Victoria had the biggest houses of any state or territory in the past financial year, at 244.8 square metres, followed by the ACT, Western Australia and Queensland. The average house size in NSW fell to a 23-year low of 220.3 square metres. 4. Four Australians gifted bionic sight. A sense of vision has been restored to four blind Australians during a clinical trial of a bionic eye in Melbourne. The patients, who lost vision due to degenerative Retinitis Pigmentosa, could sense light and dark but not see a hand waving in front of them before the trial. Bionic Vision Technologies says the patients can now distinguish objects around them in pixelated greyscale, giving them a chance to navigate without the aid of guide dogs, a cane or family members. It’s the first time a safe surgical approach, with an implant in the retina, has been successfully trialled at a patient’s home in Australia. Lead researcher Associate Professor Penny Allen says the technology could be a game-changer for the one-in-4000 Australians affected by Retinitis Pigmentosa, as there is no way to delay or cure the genetic disorder. “This is now a very significant cause of blindness in working age people; our patients range in age from the late 30s to mid 60s,” she told AAP. Prof Allen, who is lead surgeon at the Centre of Eye Research Australia, will present on the study at the annual Royal Australian and New Zealand College of Ophthalmologists Scientific meeting in Adelaide on Monday. While there other other bionic eyes on the market overseas, Prof Allen said the Australian technology was simpler and safer, while researchers had devised their own vision processing software. The bionic eye works by capturing images through a camera connected to glasses and transmitting them to an external processing unit carried in a handbag or clipped onto a belt. The information is then sent back to a device magnetically attached to the patient’s scalp, which is connected via a lead to the implanted device in their eyes, and is then processed by the brain. Following on from the surgeries, the next phase of the study has begun as participants take the technology out of the lab and into the home. First, they had to undergo training involving obstacle courses and other tests, while learning to “trust” what they see after years of no vision, Prof Allen said. “We are working with them to identify things they want to do at home, normal tasks we all do. 5. ‘Mob of sharks’ attack teen off NT coast. A teenager is said to be in good spirits despite being “mobbed” by nearly a dozen sharks and severely injured while spearfishing off the Northern Territory coast. The 17-year-old was with a group on a boat about 30km offshore from Nhulunbuy on Sunday morning when he was bitten on his arm and leg. Emergency services were alerted at about 10am local time and treated the boy before transferring him to a hospital in Gove. He was later airlifted to Royal Darwin Hospital suffering “deep lacerations” – most severely on his arm, CareFlight spokesman David Wheeldon told AAP. “He was in good spirits by the time he got back to Darwin,” he said on Sunday night. Those on the boat with the teen and first responders have been praised for their work on treating him, Mr Wheeldon said.